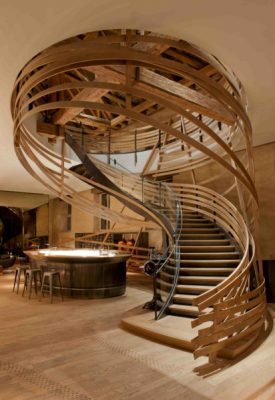 Les Haras Strasbourg, a project designed by Patrick Jouin and Sanjit Manku (Agence Jouin Manku). 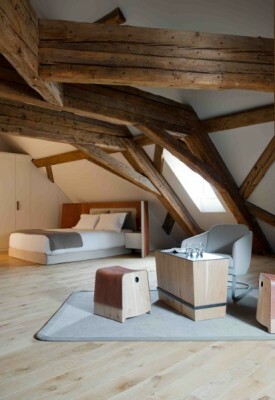 This project comprises a four star hotel and the Michelin 3-starred chef Marc Haeberlin’s first brasserie. Les Haras allies architectural creativity and technological innovation, two particular areas of French expertise, with philanthropy, an unprecedented mix for a historic redevelopment project in France. 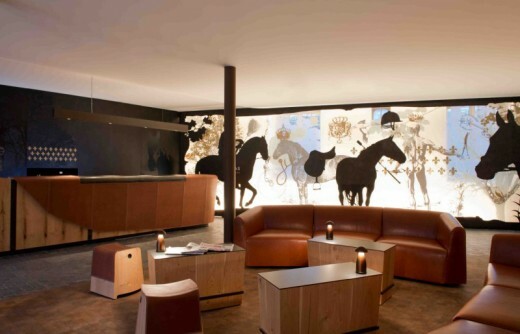 As conceived by Agence Jouin Manku, the interior design for the hotel and brasserie is characterised by its authenticity and modernity, a particular idea of luxury and comfort inspired by the equestrian world, restrained and subtle. Patrick Jouin and Sanjit Manku have expressed their vision of this former stud farm and historic site, in a design that is both elegant and simple. restaurant project unlike any other. and comfort inspired by the equestrian world, restrained and subtle. the Marquis d’Argenson, then director of the national studs. reopened under Napoleon I, only to close again in 1823.
only the National Stud continued to occupy the current site. In 2005, the stud’s horses finally left these prestigious buildings for the last time. In 2009, the City of Strasbourg entrusted the renovation and management of this site to IRCAD under the terms of a 52-year full repairing and insuring lease (UK) or net lease (US). In 2010, IRCAD began restoring the site under the auspices of the French Ministry of Culture, overseen by the Direction Régionale des Affaires Culturelles, the Architecte des Bâtiments de France, and the Conservateur Régional des Monuments Historiques.